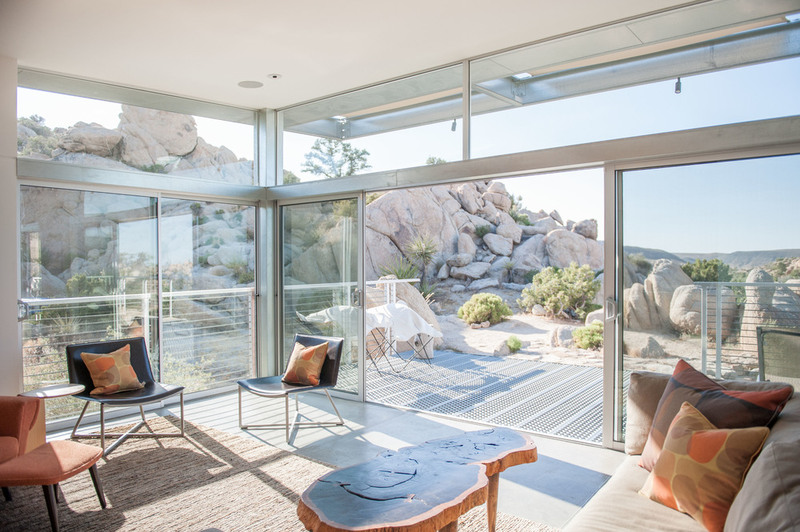 Floating gracefully above the rugged landscape, this Blue Sky Building Systems prototype home is located just north of Joshua Tree in a private community renowned for its spectacular landscape. 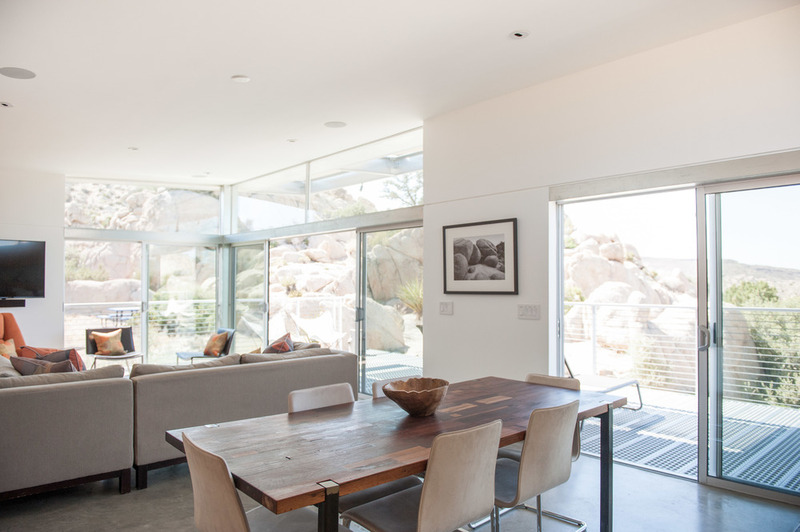 Surrounded by gigantic weathered boulders, ancient juniper, pinón and desert oak trees, this high desert home is the ultimate hideaway. 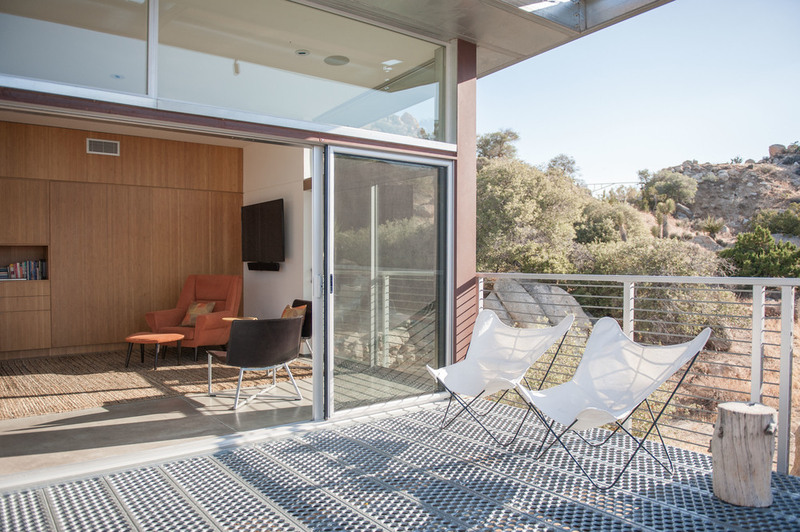 The two bedroom steel and glass home opens itself to the stunning environment with sliding glass doors in each room, leading out to private patios on each side and a large main deck extending from the living area and kitchen. Designed with beautiful high-end furnishings, every need is thought of to create a truly memorable experience. Each of the identical bedrooms features a king size bed with private patio. 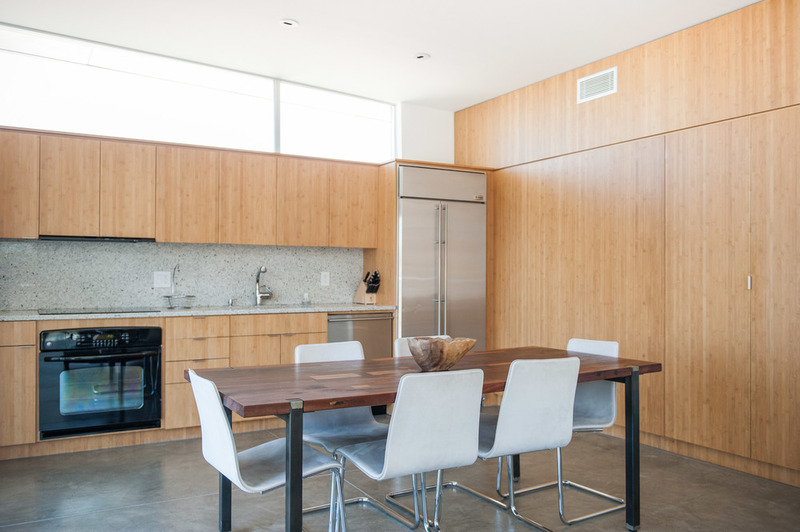 Fully furnished kitchen features high-end appliances in addition to an outdoor propane grill. Outside, there is a fireplace and sitting area, jacuzzi hot tub with incredible views, a stock tank 'cowboy tub' for cool dips, an outdoor shower, yoga platform and sleeping deck, and picnic table for alfresco dining. 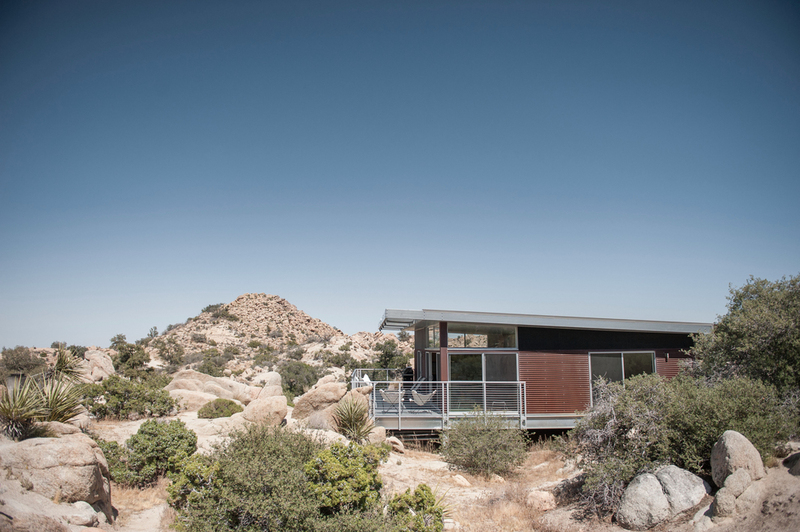 Yucca Valley is located just minutes from the infamous Joshua Tree National Park. Rates for the house start at $355/night ( + tax and cleaning fee). We recommend bringing all the supplies you'll need for your stay so that you don't have to leave this beautiful haven. 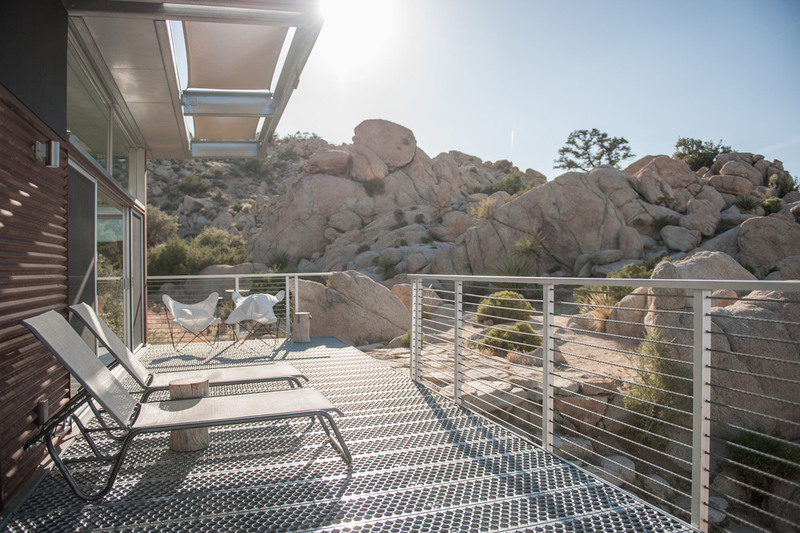 The 320-acre community of Rock Reach is within the boundaries of the Town of Yucca Valley but it is a private community not open to the public. Because it is private land, landowners don't allow hiking through their property, however walking along the roadways are permitted. Visit their website for booking info.